Let’s make the web a faster place.It’s important to analyze your website’s speed on a regular basis. Website speed increases ranking in search engines like Google and faster pages result in greater customer engagement, retention, and conversion. 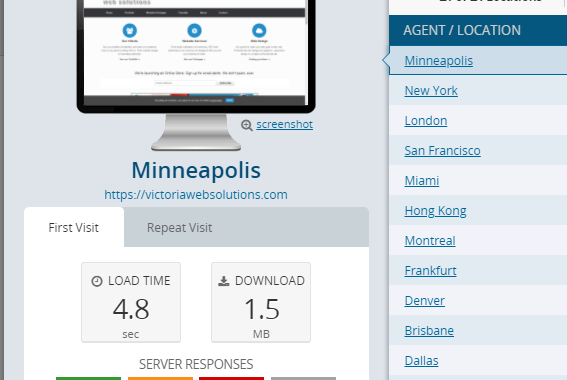 We performed a speed test of Victoria Web Solutions as you can see below. 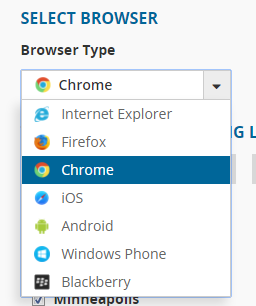 Not only does it provide some very important statistics about your website, you have the ability to select different browsers and mobile devices. This type of data is really critical to understand what type of experience your customers are having across different browsers and mobile devices. Another added bonus of this free test is the Summary Report that is provided after the test. 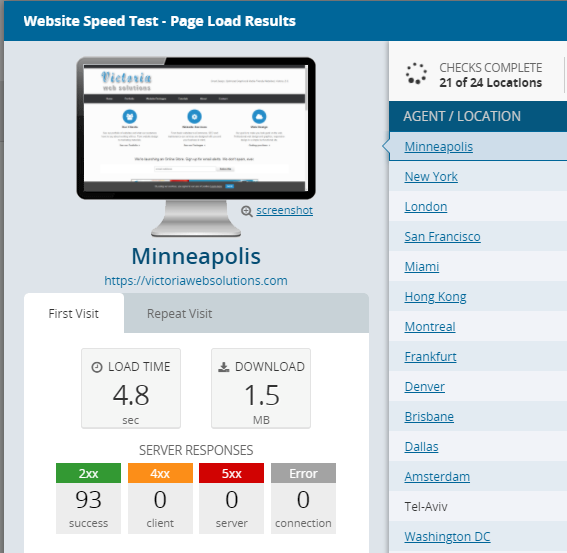 This invaluable data can identify some bottlenecks in your website or application, shows size of page, time-to-load with identifying specific fastest and slowest elements of your website. It also provides a means of easily sharing this report with a colleague or potential customer in PDF or CSV format. Very valuable! This is only a snapshot of some of the amazing tools offered by DotCom-Monitor. Some of the reasons why to choose DotCom-Monitor? You will work with Dotcom-Monitor’s team of web performance professionals who are focused on your business – call in and any member of our team will be able to help you. It’s like having your own performance monitoring team that just happens to work in our office. We always have someone ready to take your call and provide you with answers to questions big or small. See what other solutions the company has to offer with their Website Monitoring Solutions. Posted in Browser, How-to, Technology Blog, Tutorials, Websites. I recently used this for one of my customers which we were quickly able to identify some of the main issues slowing down their website. Great tools!